Time to drop Robin van Persie? 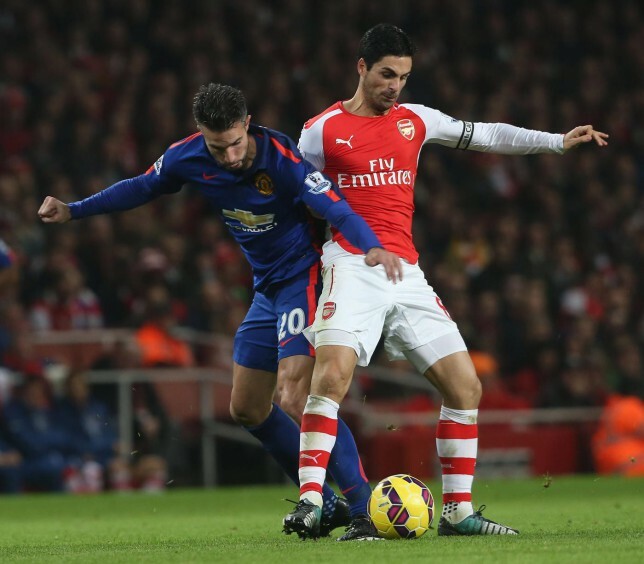 5 Points From The Game: Time to drop Van Persie? After his sending off against West Ham in September and his subsequent three match ban, Rooney has slotted back into the team and has impressed for both club and country. He had plenty of time to take his goal yesterday but it could’ve resulted in him overthinking it (just ask Angel Di Maria), but his finish was one of assurance. His overall performance was top drawer too, covering big areas of the pitch with him as likely to be present heading the ball to safety from his own box as he was in the final third. Granted he was given the captain’s armband by default due to a lack of contenders, but it would seem that he is growing into the role. Within the next few years it is expected that he will become England’s most capped player and he is likely to surpass Bobby Charlton’s goalscoring record in that time too. The maturity that he showed yesterday will stand him in good stead to beat Charlton’s appearance and scoring records at United too. The Dutch forward has looked completely unfit since the World Cup and he was once again ineffective at the Emirates against his former club. His equaliser at home to Chelsea was a highlight in a season where he has struggled to find form. An excellent first season aside, the Dutchman’s time at United has been plagued by injury and the arrival of Radamel Falcao was designed to soften the blow when fitness concerns arose. But the Colombian loanee has had his own injury-hit year and it may be the time of James Wilson to step up to the plate. His introduction as a substitute yesterday provided the team with a much needed mobile outlet up front and it would be no surprise to see him play next weekend as the lone frontman against the side he scored a double against on his debut in May, Hull City. Barring a couple of uneasy moments, the Irishman looked accomplished at the back alongside Chris Smalling and Tyler Blackett. Operating from the right side of a back three, he was required to patrol any space that wing-back Antonio Valencia gave to the Arsenal forwards, a job he performed with the minimum of fuss. 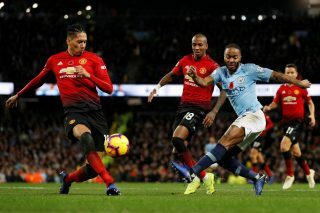 At 19 years of age he has shown the kind of control and discipline in his appearances that was lacking from the more experienced Smalling’s game against Manchester City at the beginning of the month. There has been talk of the club signing another centre-back in January due to the injuries that have occurred to the three first choice defenders in the squad, but McNair’s performances so far have made such talk a little more redundant. When Luke Shaw went down clutching his ankle in the opening fifteen minutes at the Emirates, United fans could have been forgiven for fearing the worst. 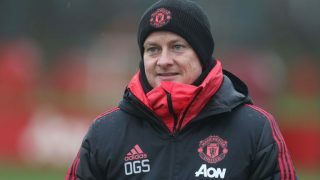 Shaw is the only natural left-back in the squad and when his injury forced him to go off the field so early on, a change of shape was what was expected from Van Gaal. Step forward, Ashley Young. Young played at left wing-back in pre-season and was the team’s most impressive player against European champions Real Madrid but injury shunted him onto the sidelines and he wasn’t able to build on those summer performances. When he took to the field yesterday, it was at a time when Arsenal looked likely to take the lead but Young had an integral part in keeping the score down and helped United to look dangerous on the counter attack. His versatility could be vital in this injury plagued season. 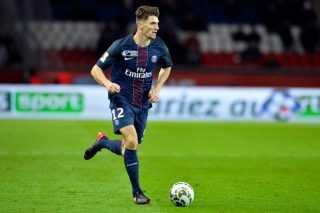 Until the marquee signing of Angel Di Maria, it was assumed that United would struggle to get back into Europe’s premier competition. But when the Argentinian put pen to paper at the club, optimism reigned once again. 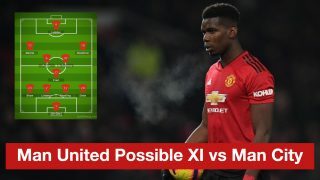 Dodgy defensive performances and an inability to keep players fit reverted critics’ opinions on where United would place at the end of the season back to the pre-Di Maria scepticism. After yesterday’s performance and the lack of quality outside of the league leaders Chelsea, it would be safe to assume that the team will breeze into the top four. Arsenal had their fair share of injuries but their first XI was nowhere near the utter decimation that United had suffered and the Reds still managed to secure the away win. The idea that three from Arsenal, City, Liverpool, Spurs, Southampton or Everton will be above Manchester United in the table come mid-May is seemingly laughable right now.